So you have a problem. 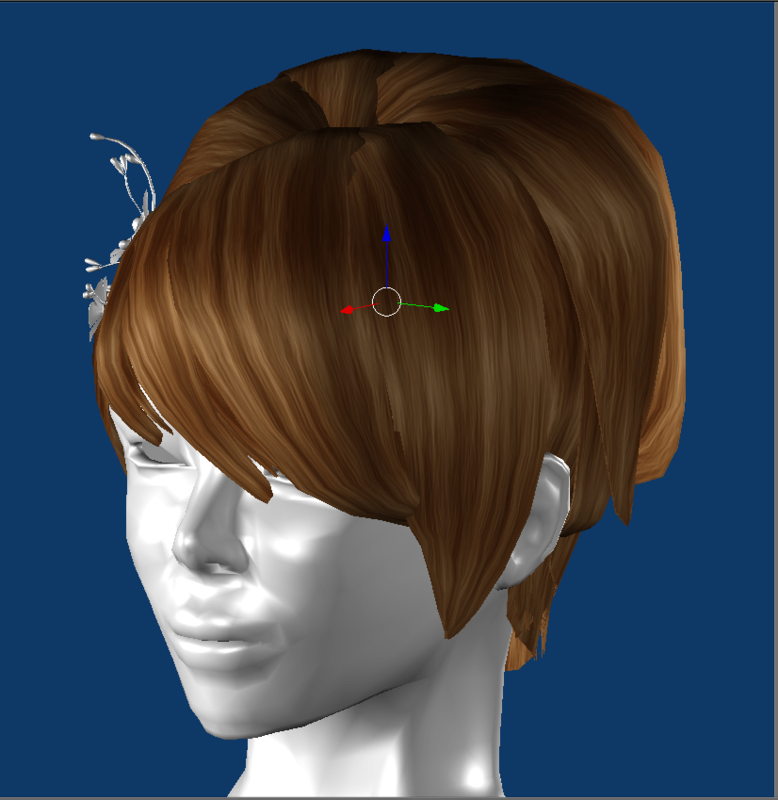 You’re making a cute little hairstyle for the upcoming hairfair and you have reached the step when you join your hair pieces together to make sure it all works before you export it to .dae format. But oh, what’s this? All your nice strandy textures have suddenly become the solid texture! That’s not what you want to see. After banging my head against this issue for several hours, (and threatening to throw the computer and myself out the window), with the help of a couple of blender aficionados in the SL blender group, I worked out how to display your different transparency textures on one mesh with multiple materials. It’s not perfect, but it’s better than guessing! WRONG! Bzzt..This is what I do NOT want to see!! where are my nice strands? Time to fix it. Go to the texture tab. It’s the red and white checkbox next to the materials tab. Create a new texture, select Image or Movie from the drop down list that by default will say “Clouds” Open your texture from the little picture button below the texture preview. You can check “show Alpha” to see your alpha channel in the texture preview. 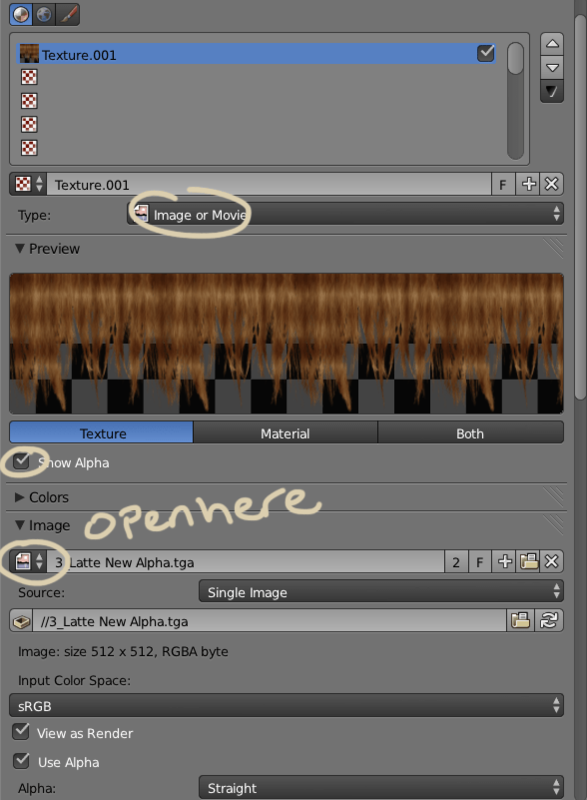 Scroll down a little further on the texture tab, Select Use Alpha. Further down under Mapping, change the mapping from Generated to UV so it uses your UV layout properly. 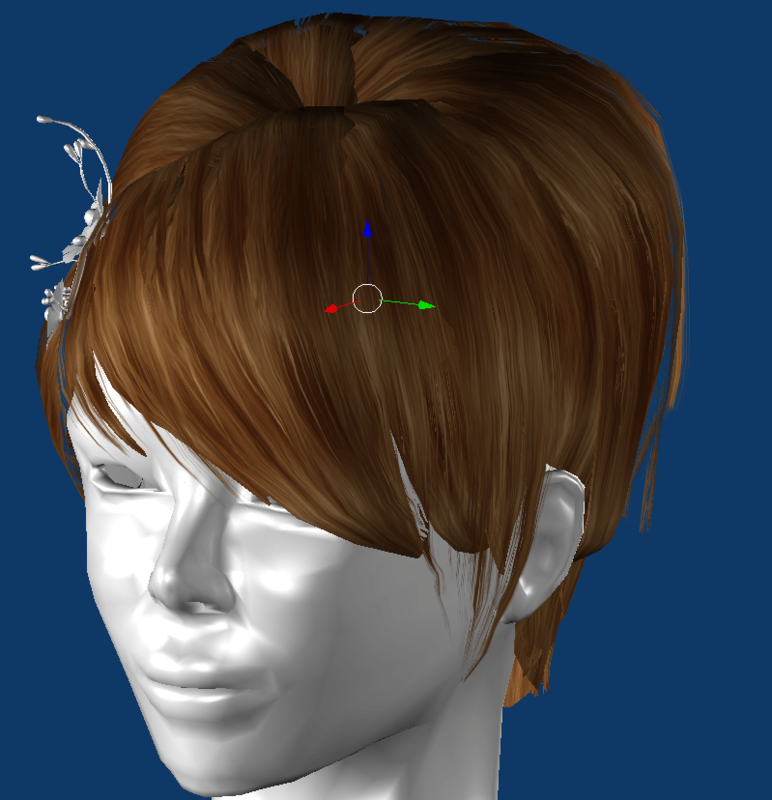 Further down again still, make sure Colour and Alpha are selected. Leave both set at 100. Back to the materials tab we go. 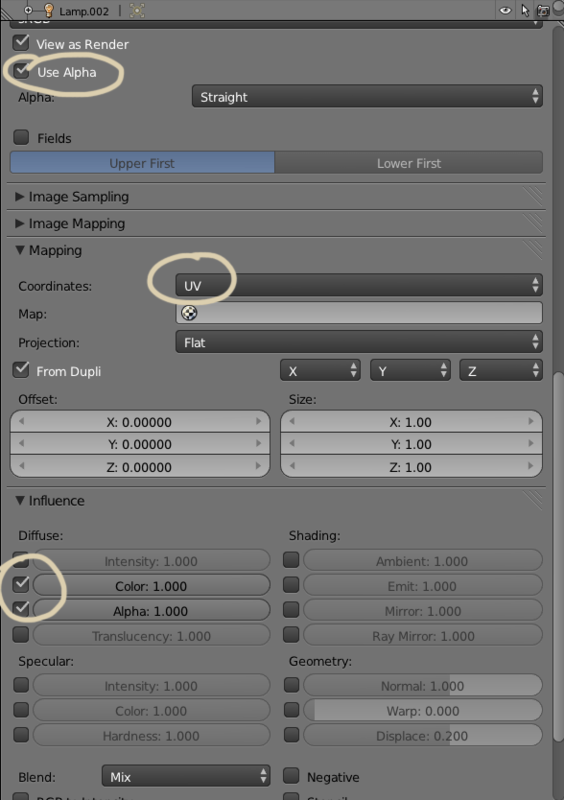 Turn “Specular” intensity right down to zero, and then below shading, check “Transparency” When you have checked that, the options below become available. 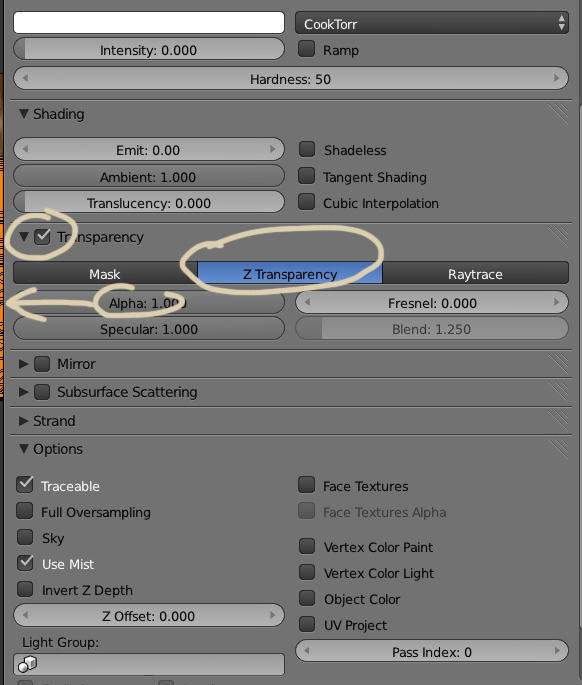 Select Z-transparency and then dial down the Alpha slider to zero. 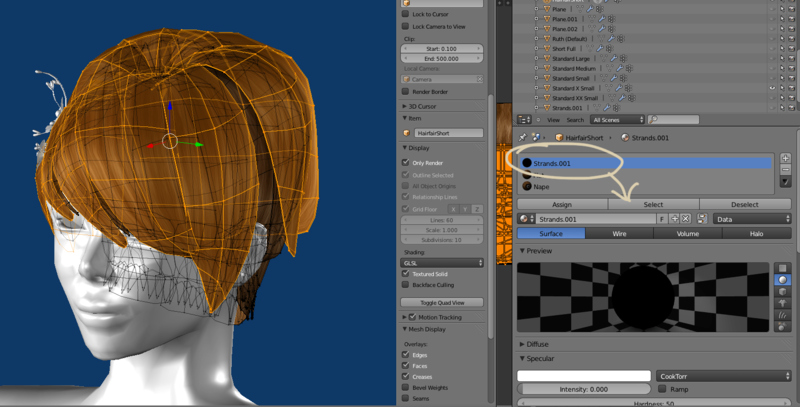 Your texture should now be displayed properly in the 3d edit view and you can adjust your mesh to your heart’s content!! Be aware, this view can be glitchy, but as I said, it’s a heck of a lot better than guessing! Enjoy! 🙂 If there are any errors here or any steps that don’t work, let me know so I can fix it!